The Government has launched several initiatives and initiated a slew of reforms to put the nation on a high growth trajectory. Flagship programmes like Make in India; Digital India; Atal Mission for Rejuvenation & Urban Transformation (AMRUT); and Smart Cities Mission presents significant opportunities for investors to support India in its development and in turn benefit from the growth potential that the country offers. SDGs have been linked to these flagship programmes, and expert committees and working groups have been set up to facilitate the implementation. The SDG agenda is an excellent opportunity to further integrate the issues like climate change, natural resource scarcity and inequality into the Country’s development plan. Being the national investment promotion and facilitation agency, Invest India plays a pivotal role in achieving India’s SDG targets. Invest India not only adopts SDGs as a key driver of its investment promotion lifecycle but also conceptualizes, curates and helps execute bespoke projects targeted at specific SDGs. More importantly, Invest India has deployed a series of tools and enablers to make the SDG orientation stick across the investment ecosystem and among its various government and non-government stakeholders. Invest India’s organizational vision and KPIs of staff are closely aligned with monitoring and achieving SDGs. In addition, Invest India leverages a series of multilateral partnerships and partnerships with State IPAs to achieve the organizational mission of further SDGs. 1. Aligning Investment promotion strategy to SDGs: Eleven sectors have been chosen with specific focus on SDGs and those that will have a direct and immediate impact on SDGs. Each sector has a national investment promotion plan and targets, not just quantum of investments but also along jobs and other sector specific metrics. Similarly, other activities along the investment promotion lifecycle such as facilitation, policy advocacy and outcome measurements are designed, executed and tracked with sustainable development goals in mind. 2. Translating sub-national SDG visions into projects: Given the criticality of state governments in India’s federal set-up, Invest India is working pro-actively to help identify and develop projects that implement the States SDG vision and build capacity within the state IPAs to further the SDGs. Bringing in technologies and projects to address stubble burning that leads to pollution in State of Haryana is one such example (SDG 13). 3. 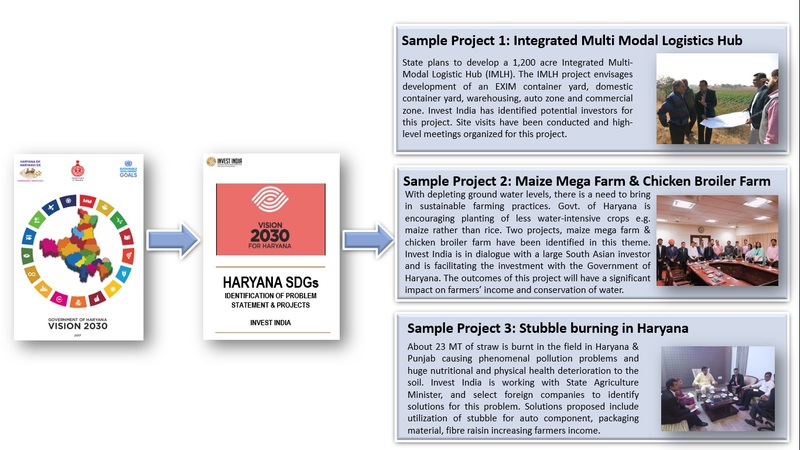 Bespoke SDG projects: Invest India pro-actively conceptualizes and executes special projects targeted at achieving specific SDGs and solve problems peculiar to India. Developing a startup ecosystem in the Country (SDG 8), boosting the innovation ecosystem in the Country (SDG 9) and close working with International Solar Alliance (SDG 7) are some of the examples. 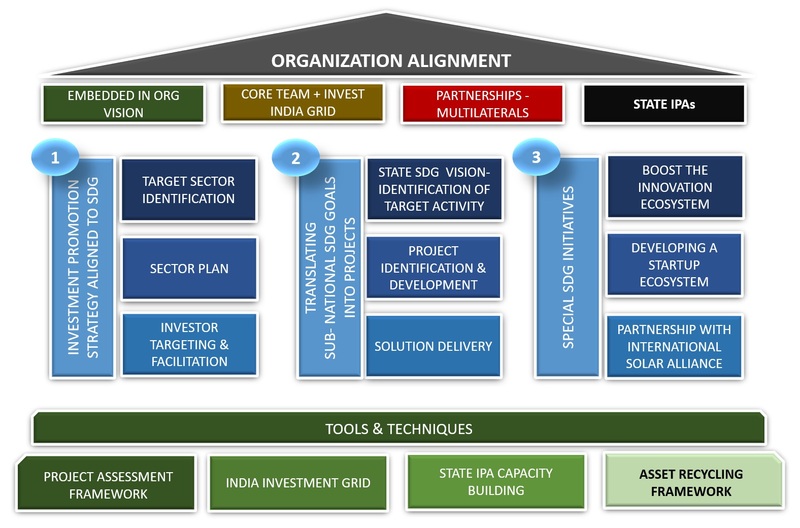 A series of tools and enablers such as India Investment Grid (an online technology platform that helps curate projects linked to SDGs), evaluation framework (21 indicators of sustainability to prioritize projects) and building SDG related capabilities in the state IPAs with a series of assessment and capacity augmenting evaluation. 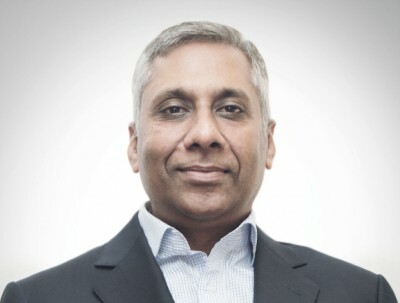 As the national investment promotion and facilitation agency, Invest India has a key role in leading and coordinating a bespoke strategy for the preparation and marketing of sustainable and bankable projects, sector-specific investor targeting and the development of new partnerships to enable sustainable investments. Sustainability is embedded in the organization’s vision. We are committed to mobilising investments required for meeting the Sustainable Development Goals. In addition to a core team which is focusing on sustainable investments, Invest India also partners with subnational investment promotion agencies and multilateral organizationsto achieve the organizational mission of further SDGs. The sector plan focuses both on Targeting & Facilitation. Information captured includes quantum of indicated investments, outreach plan, roadshows / roundtables / sector events to be organized or attended, sector collaterals, sector trainings, priority markets, resource plan, detailed prospect list and stakeholder mapping. In addition to the annual sector plan, for four of the eleven sectors, a sector strategy is also in place. The Renewable Energy Strategy is aligned with Government of India’s Make in India initiative and 175 GW Renewable Energy target by 2022 set by the Ministry of New and Renewable Energy. Invest India has set up a target of facilitating 40 GW of Renewable energy of the Country’s 175 GW by 2022. Identify foreign corporations with investment potential in target sectors. All targets and facilitation cases are uploaded on the CRM. Information to be included in the CRM includes details on engagement and next steps, including plans for their entry/expansion and investments. Appraising corporate endorsements of current standards of good business conduct could serve as a low-cost method to screen and rank the best investors to approach, before there is any specific FDI proposal or even expressed interest from the enterprise. State governments are key to India’s progress on the SDG Agenda as State governments play a pivotal role in many of the Government’s flagship programmes such as Swachh Bharat, Make in India, Skill India, and Digital India. State governments are paying keen attention to visioning, planning, budgeting, and developing implementation and monitoring systems for the SDGs. 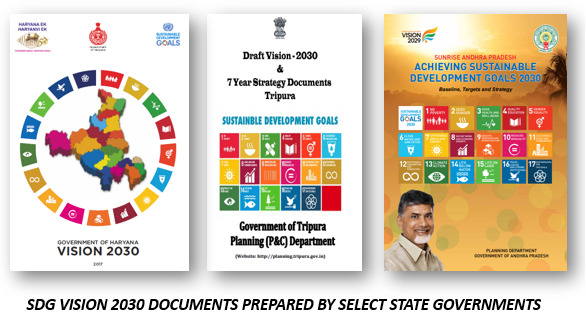 Select States have prepared SDG vision documents and Invest India has undertaken a pilot project for two States to pro-actively identify and develop investible projects that implement the States SDG vision. 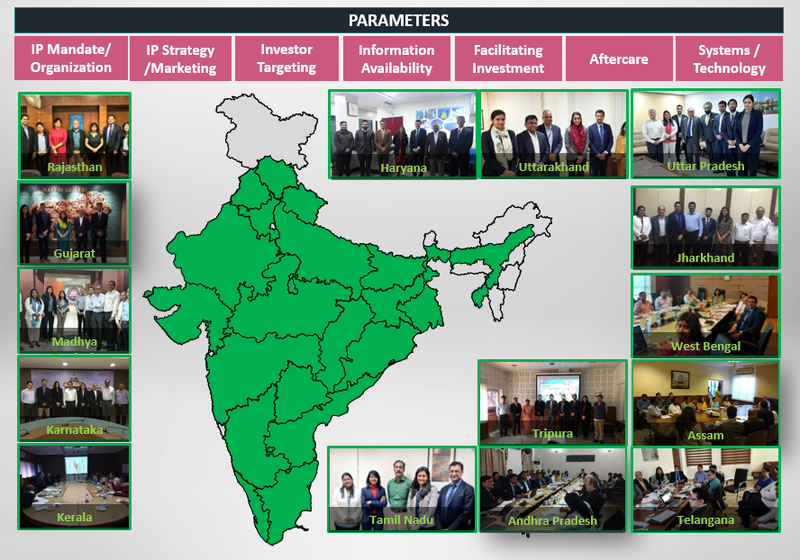 Invest India is working with 20+ states for building capacities within the state IPAs from investment targeting, promotion and facilitation perspective. Based on the state SDG target (vision) statements identified, Invest India delivers investor-facilitation based solutions. Invest India is working closely with the Secretariat of International Solar Alliance (ISA) towards helping achieve the objectives of mobilizing investments for solar sector. ISA was jointly launched by the Prime Minister of India and President of France on the side lines of COP21 UN Climate Change Conference in November 2015 at Paris. Invest India is coordinating an MOU between the World Association of Investment Promotion Agencies (WAIPA) and ISA where Invest India will act as the coordinating agency for the MOU. Invest India is also co-organizing ISA Innovation and Investment Forum in October 2018. Search for, identify, analyze different projects, connect with promoters and other investors, and have a real-time access to status updates on the projects. Promote/showcase their own project in India across the globe via a single platform. IIG has an exhaustive list of all sectors including the core sectors identified for sustainability. Project matching the investors need from a sustainability perspective can be easily identified through the use of specific search filters. Invest India is actively working with several Indian states to build capacity and strengthen existing IPAs as well as bring in global best practices in investment targeting, promotion and facilitation areas. Invest India has organized two national level capacity building programs for State IPA in partnership with World Bank last year. Invest India has also taken up assessment of investment promotion preparedness of State IPAs of more than 20 States. The project is helping in sharing best practices and has enhanced Invest India’s engagement with State IPAs. In addition, Invest India has also helped states in setting up / restructuring their IPAs, organized individual state workshops, helping states organise their investor summits & roadshows. Invest India is also actively working to set up State Start up ecosystems from policy to implementation. Asset Recycling involves disposing of legacy assets to generate capital to invest in new assets or refurbish existing infrastructure. Invest India is building Asset Recycling capacity in country by working with Central Ministries, State Governments and Public-Sector Enterprises. Asset Recycling can support infusion of low cost patient capital in the infrastructure by reducing the cost of infrastructure for the public. The program also helps in recycling high risk capital into newer projects at a much faster pace leading to increased growth of infrastructure building. The team in coordination with National Highways Authority of India closed the first bundle of 9 Highway projects attracting an investment of $1.45 Bn. Invest India has also replicated the model in State Highways & urban roads. The team is now broadening the pilot project to other sectors by developing asset recycling model across Airports, Telecommunications, Warehouses, Railways, Energy etc. Developing a project pipeline involves assessing the sustainability impact of investible projects from the selected sectors. The project assessment will need to be carried out against an adopted definition and criteria of sustainable FDI. The framework is based on a broad set of sustainability characteristics that encompass economic, environmental, social and governance criteria. To follow the sustainable FDI assessment methodology proposed below, the 21 indicators of sustainability have been prioritized. The indicators have been given a weighted score (of either 1, 2 or 3 points) based on their priority. Indicators with higher score indicate higher priority in the sustainability matrix. An FDI proposal will be assessed against the above criteria and marked out of the total score of 40. Any project proposal achieving a score of 75% (30 or above), can be classified as a sustainable project in investment promotion activities.